Best value in Bucktown Crossing! Located in the rolling hills of Chester County, Bucktown Crossing 55+ Condominiums have all you need to begin care-free living! Luxurious amenities include a secure underground parking area, full access elevator, on site storage, and secure gated entry to each building. 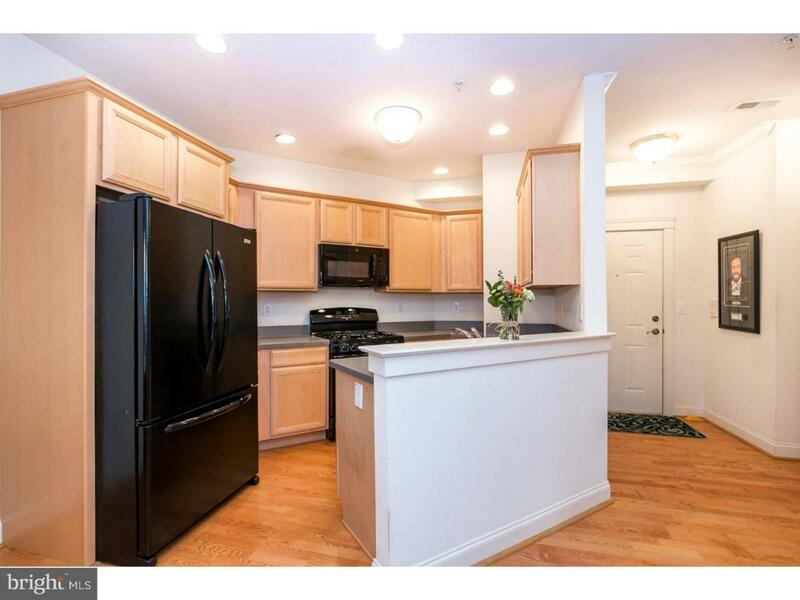 This third floor RESALE Coventry unit has a lovely open floor plan, 9' ceilings, and hardwood flooring throughout the main living area. You are greeted with a coat closet, convenient powder room and laundry closet with included side-by-side washer/dryer. The kitchen boasts a neutral grey countertop, black appliances, garbage disposal, recessed lighting and plenty of cabinet space. Open to the kitchen is the dining area with chair rail and crown molding, a separate den/office with ceiling fan, and a living room with corner gas fireplace, ceiling fan and access to the private rear facing balcony. The master bedroom has a tray ceiling, walk-in closet, large bath with dual vanity and full tub/shower, sliders to the balcony and an abundance of natural light. With one of the best views in the community, you get to enjoy the sunshine in the winter and the shade in the summer. Incredibly efficient, your electric and gas bills combined average $100/month! There is a beautifully furnished clubhouse with a card room, full kitchen, social room w/ fireplace, and fitness room, as well as an outdoor recreation area, including a heated pool, tennis courts, and picnic pavilion w/ grills. Just minutes from 422 and the PA Turnpike, and a 30 minute ride to West Chester and King of Prussia, you will enjoy the beautiful countryside in the most convenient way!